Red Sweater、Mac用クロスワードパズルアプリ「Black Ink 2」のPublic Beta版を公開。 | AAPL Ch. Black Ink 2 is available now as a public beta: Download Black Ink 2.0b4. This update requires macOS 10.12 or greater. Pricing for Black Ink 2 has not been finalized. 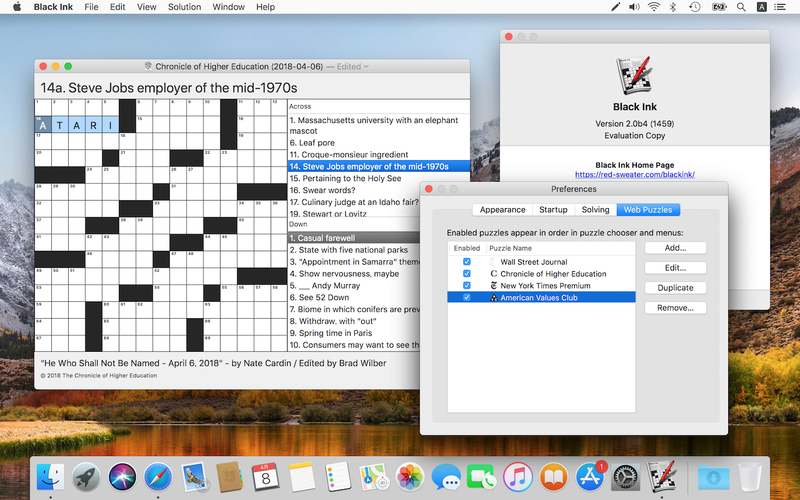 New users may evaluate Black Ink 2 using the free 30-day trial.